Surgical strike 3.0 in Myanmar without single shot fired! While a section of the media across the country on Friday went agog with reports of a surgical strike 3.0 by the Indian Army and Myanmar Army against Arakan Army, locals along the Indo-Myanmar border denied any such strike on the insurgent groups in the neighbouring country. A report published in The Assam Tribune on Friday said that a possible threat to the Kaladan transit and transport project involving India and Myanmar has been averted due to a strong coordinated operation launched by the armed forces of both the countries between February 17 and March 2. Similarly, an India Today report stated that both Indian and Myanmar Army carried out a massive surgical strike from February 17 to March 2 against Arakan Army, an insurgent group based in Myanmar, who were posing threat to the Kaladan project, a massive infrastructure development project, undertaken by the Indian government. However, locals along the Indo-Myanmar border had to say that they did not know about any such operation launched in the area by the Indian Army as well as by the Myanmar Army and said there is absolute peace on both sides of the border. The locals said there was no sound of a single shot being fired in and around the area. “It is just a rumour being spread. Majority of the people living in Arakan belt are basically from Mizo clans and they move on both sides of the border. 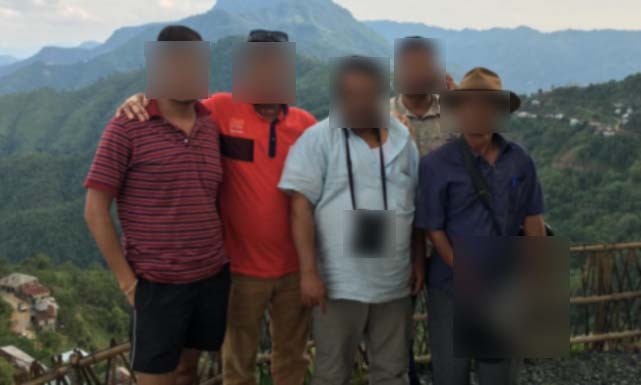 If there is something of the sort of Army operations, the locals would have known,” said a trader from Lawngtlai area, located along the Indo-Myanmar border. “There is no movement of the Assam Rifles who guards the Indo-Myanmar border. We see them playing volleyballs all the time,” said locals residing in close vicinity of the Assam Rifles camp along the Indo-Myanmar border. The locals further said that two truck-full of Assam Rifles personnel on Friday moved out of the camp towards Lunglei, probably to bring ration or for other purposes. Saiha-based sources said the locals were not aware about any operations against Myanmar-based insurgent groups in the recent past. “If something happened without a single shot being fired, we don’t know,” sources told Northeast Now. Sensitive information of such nature grabbing headline space, particularly at a time when the Lok Sabha polls are just round the corner has raised many questions in this part of the country.